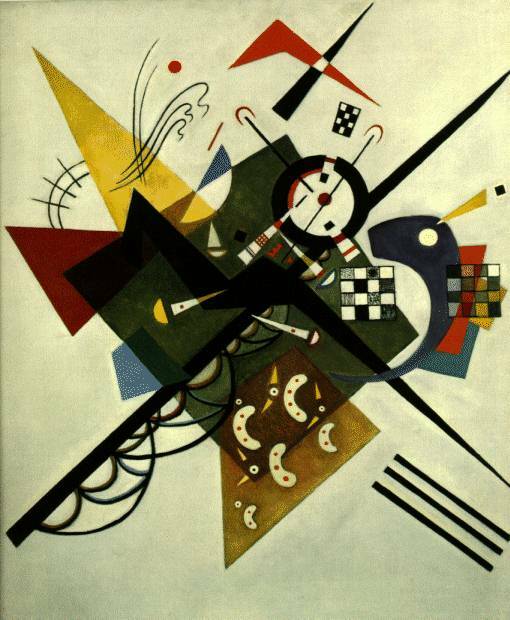 Kandinsky, Wassily, Russian in full VASILY VASILYEVICH KANDINSKY (b. Dec. 4 [Dec. 16, New Style], 1866, Moscow, Russia--d. Dec. 13, 1944, Neuilly-sur-Seine, Fr. 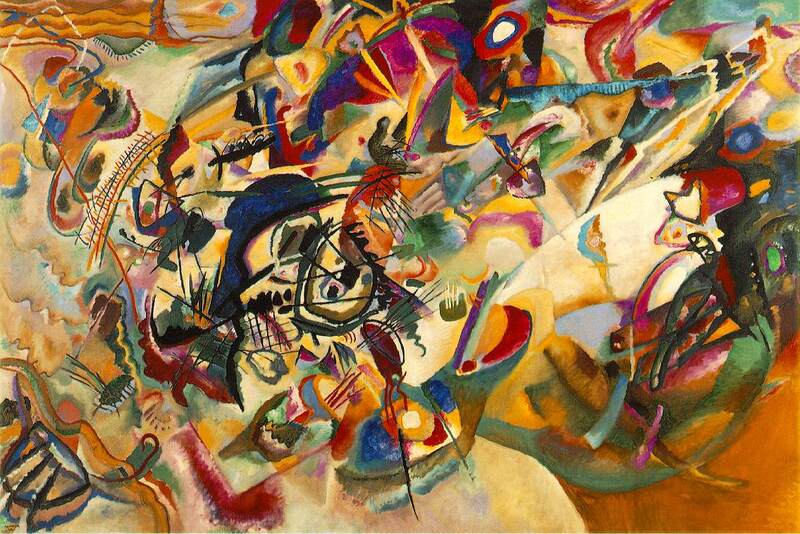 ), Russian-born artist, one of the first creators of pure ab straction in modern painting. 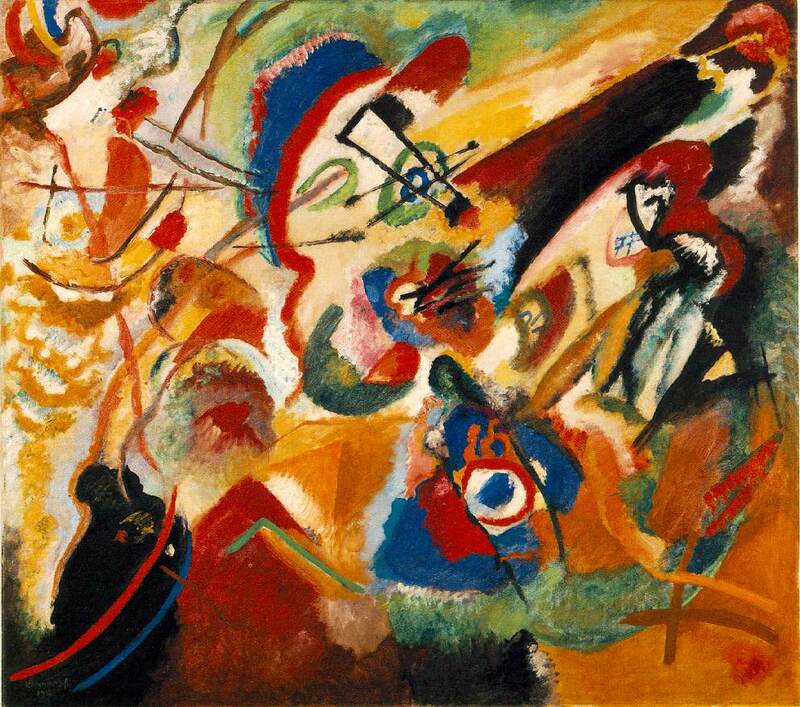 After successful avant-garde exhibitions, he founded the influential Munich group Der Blaue Reiter ( The Blue Rider ; 1911-14) and began completely abstract painting. 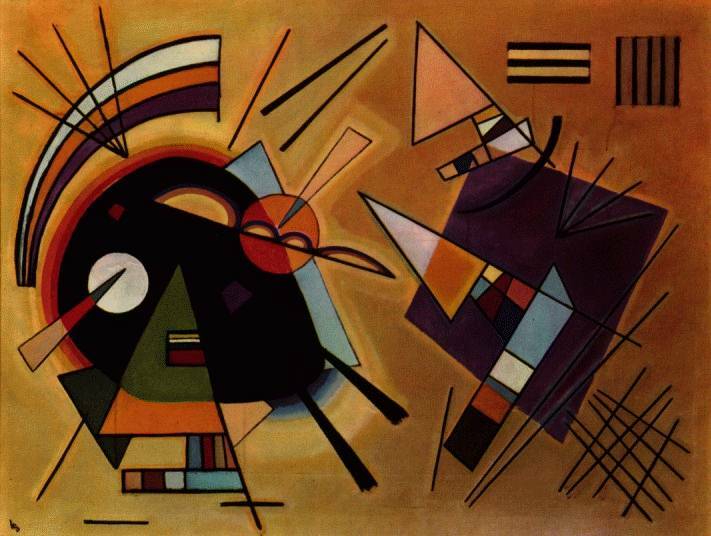 His forms evolved from fluid and organic to geometric and, finally, to pictographic ( e.g., Tempered Élan , 1944). 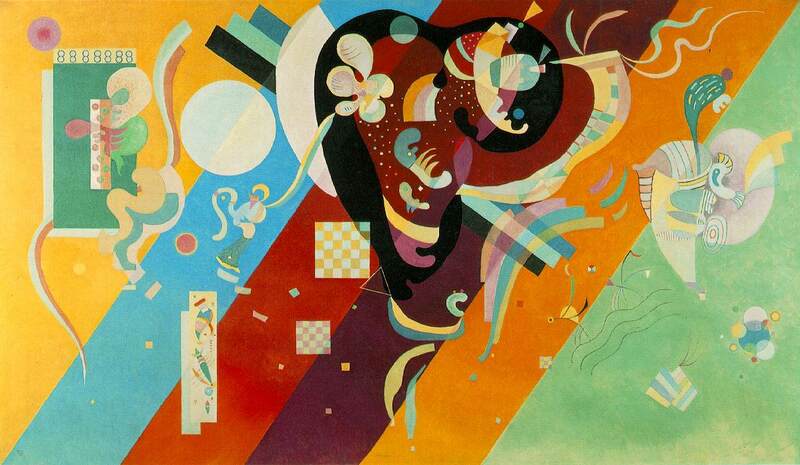 Kandinsky, himself an accomplished musician, once said Color is the keyboard, the eyes are the harmonies, the soul is the piano with many strings. The artist is the hand that plays, touching one key or another, to cause vibrations in the soul. The concept that color and musical harmony are linked has a long history, intriguing scientists such as Sir Isaac Newton. 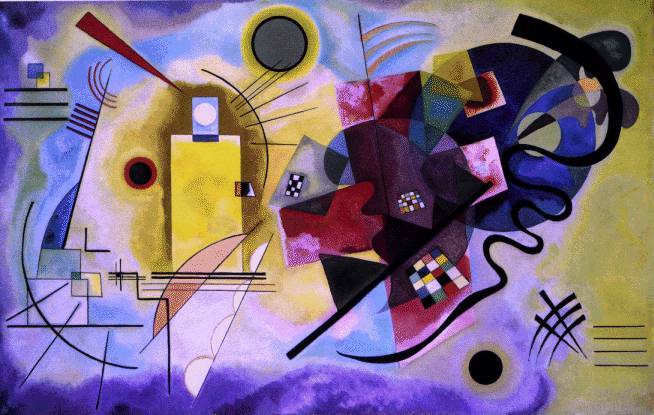 Kandinsky used color in a highly theoretical way associating tone with timbre (the sound's character), hue with pitch, and saturation with the volume of sound. He even claimed that when he saw color he heard music. 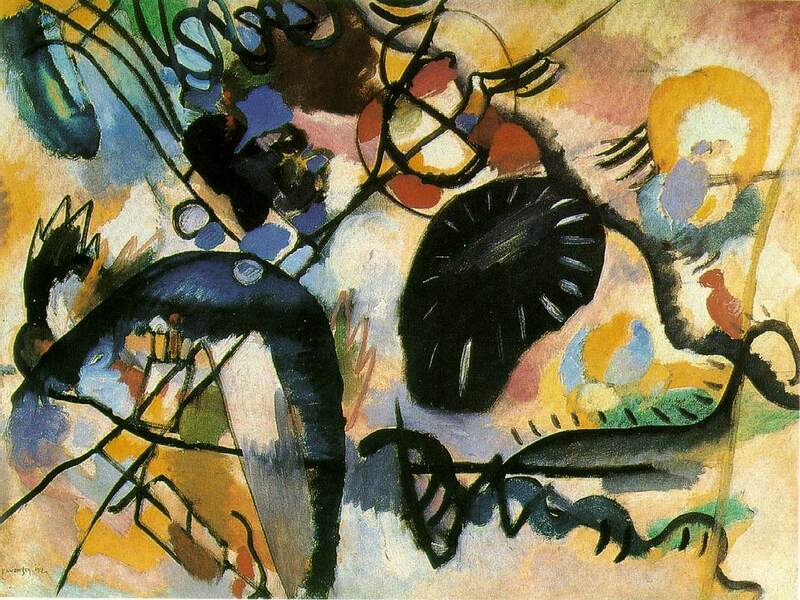 Born in Moscow in 1866, Kandinsky spent his early childhood in Odessa. 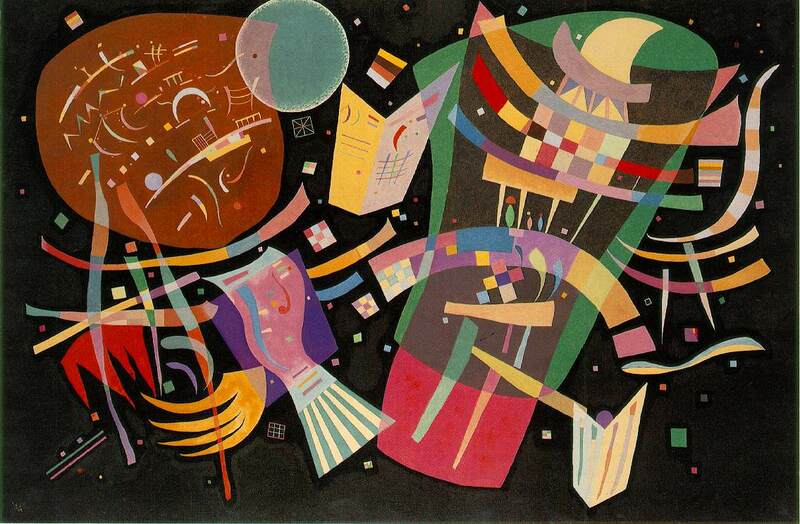 His parents played the piano and the zither and Kandinsky himself learned the piano and cello at an early age. The influence of music in his paintings cannot be overstated, down to the names of his paintings Improvisations , Impressions , and Compositions . In 1886, he enrolled at the University of Moscow, chose to study law and economics, and after passing his examinations, lectured at the Moscow Faculty of Law. He enjoyed success not only as a teacher but also wrote extensively on spirituality, a subject that remained of great interest and ultimately exerted substantial influence in his work. 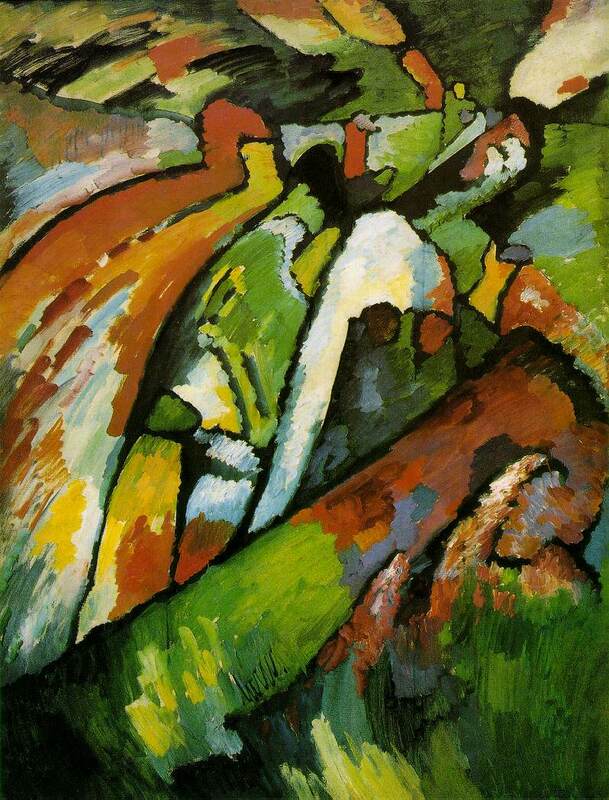 In 1895 Kandinsky attended a French Impressionist exhibition where he saw Monet's Haystacks at Giverny . He stated, "It was from the catalog I learned this was a haystack. I was upset I had not recognized it. I also thought the painter had no right to paint in such an imprecise fashion. 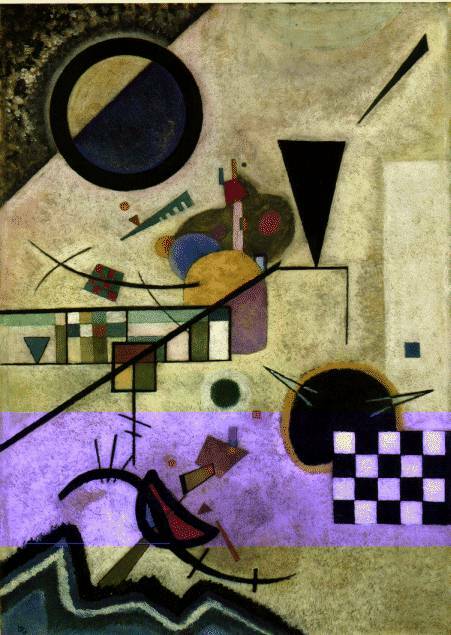 Dimly I was aware too that the object did not appear in the picture..." Soon thereafter, at the age of thirty, Kandinsky left Moscow and went to Munich to study life-drawing, sketching and anatomy, regarded then as basic for an artistic education. 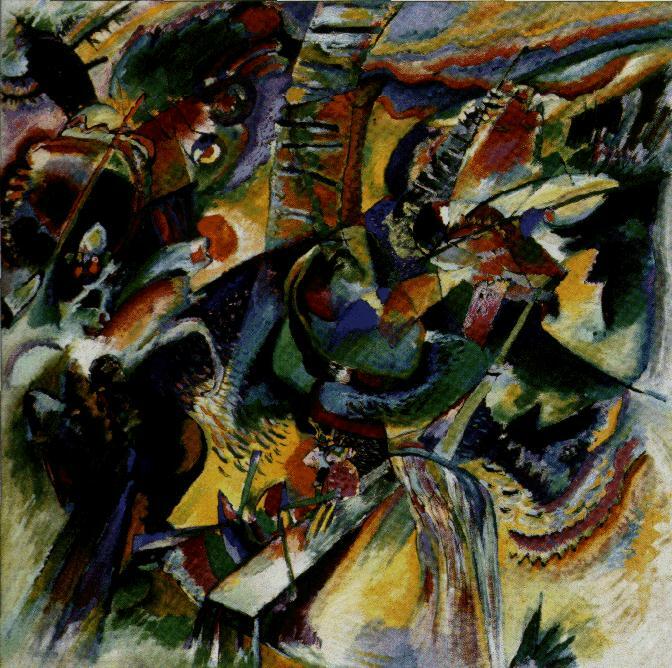 Ironically, Kandinsky's work moved in a direction that was of much greater abstraction than that which was pioneered by the Impressionists. 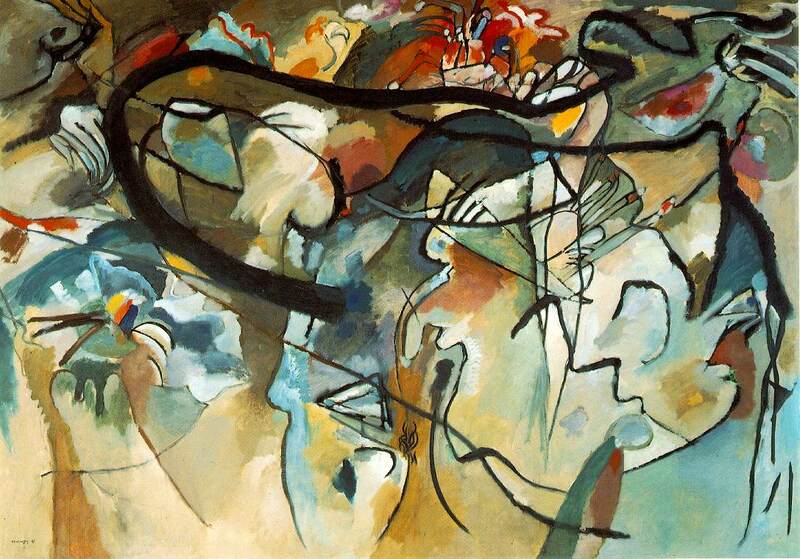 It was not long before his talent surpassed the constraints of art school and he began exploring his own ideas of painting - "I applied streaks and blobs of colors onto the canvas with a palette knife and I made them sing with all the intensity I could..." Now considered to be the founder of abstract art, his work was exhibited throughout Europe from 1903 onwards, and often caused controversy among the public, the art critics, and his contemporaries. 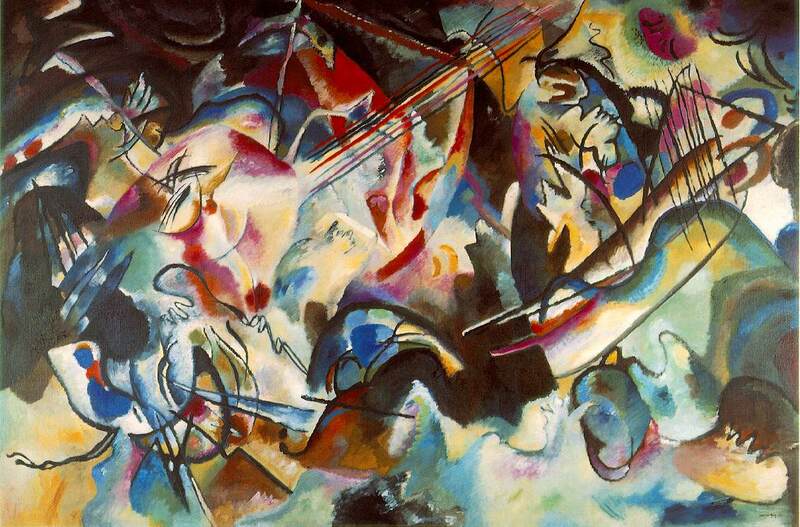 An active participant in several of the most influential and controversial art movements of the 20th century, among them the Blue Rider which he founded along with Franz Marc and the Bauhaus which also attracted Klee, Lyonel Feininger (1871-1956), and Schonberg, Kandinsky continued to further express and define his form of art, both on canvas and in his theoretical writings. His reputation became firmly established in the United State s through numerous exhbitions and his work was introduced to Solomon Guggenheim, who became one of his most enthusiastic supporters. 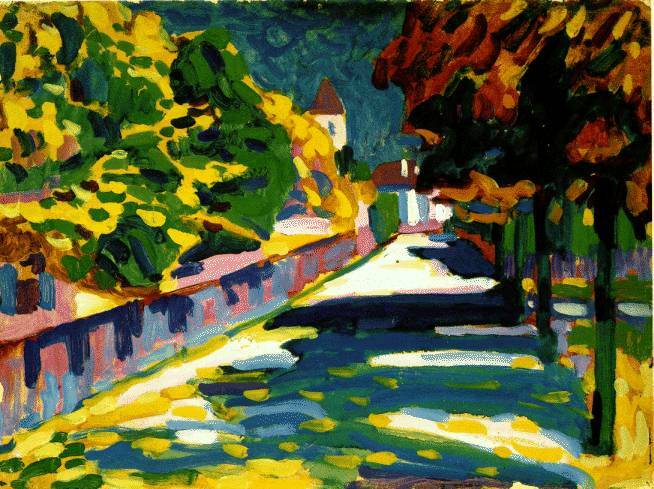 In 1933, Kandinsky left Germany and settled near Paris, in Neuilly. The paintings from these later years were again the subject of controversy. 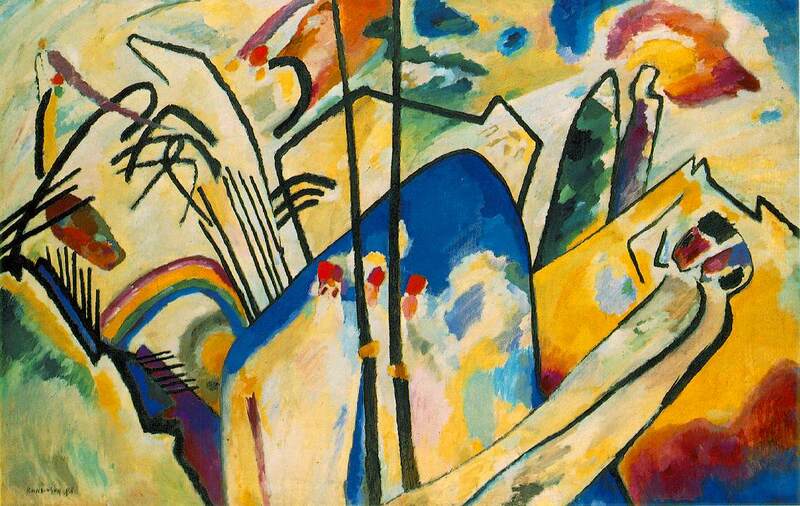 Though out of favor with many of the patriarchs of Paris's artistic community, younger artists admired Kandinsky. His studio was visited regularly by Miro, Arp, Magnelli and Sophie Tauber. 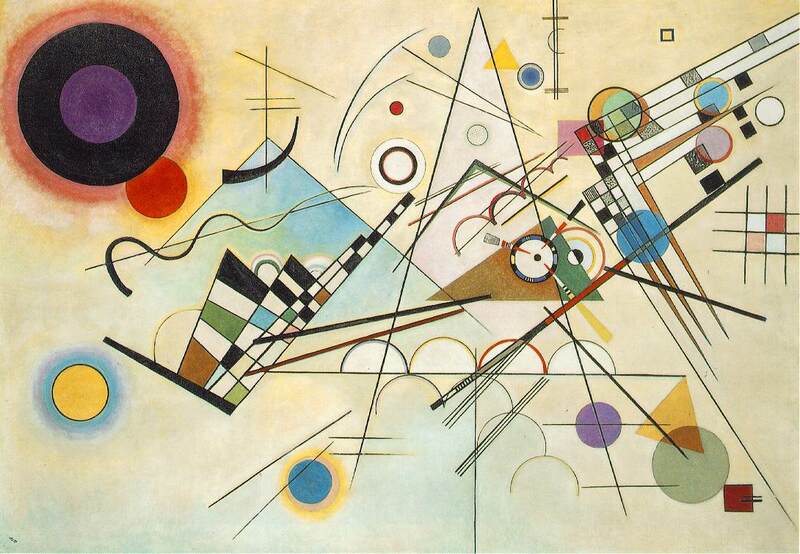 Kandinsky continued painting almost until his death in June, 1944. his unrelenting quest for new forms which carried him to the very extremes of geometric abstraction have provided us with an unparalleled collection of abstract art.